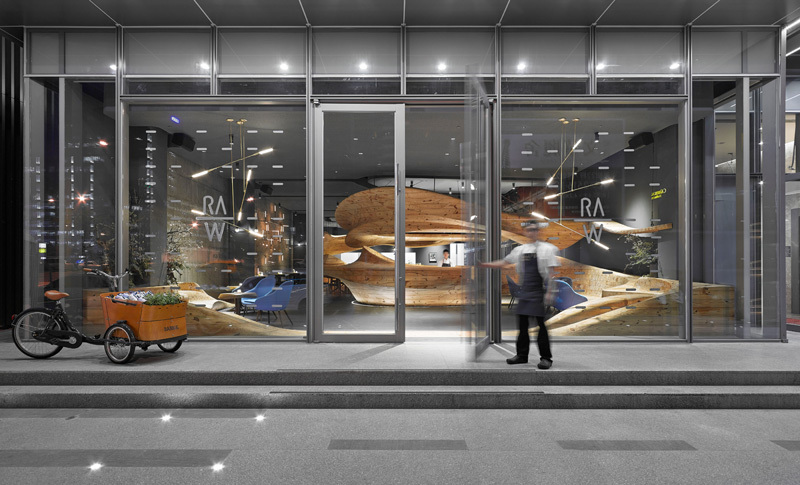 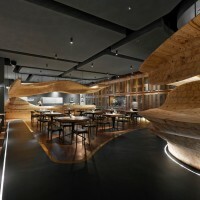 Architecture firm WEIJENBERG have worked together with Chef André Chiang to create RAW, a restaurant in Taipei, Taiwan. 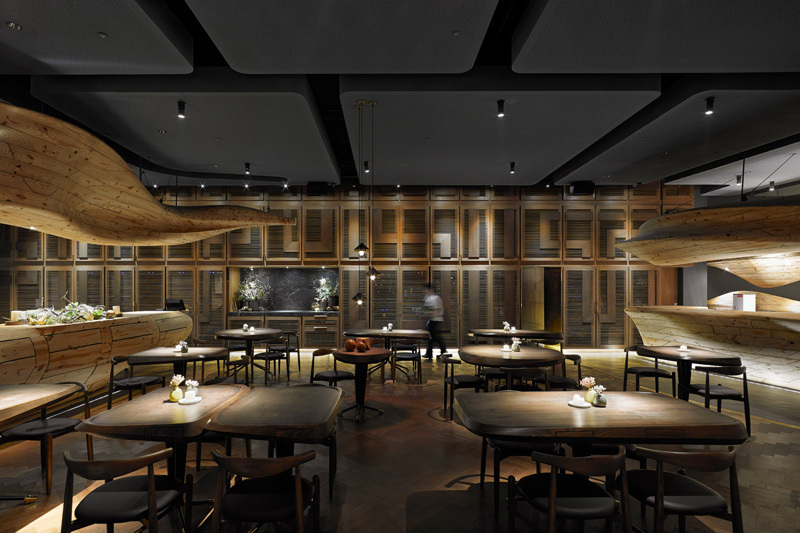 The conversation between WEIJENBERG and Chef André Chiang (50 Best Restaurant’s) to design a new restaurant in Taipei started late 2013. 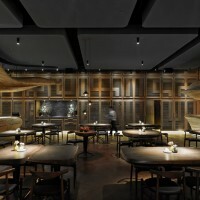 It quickly became clear that André’s gastronomic vivid imagination combined with WEIJENBERG’s artistic vision would set both on a trajectory to create a restaurant reflecting the visceral and primitive nature of its namesake ‘RAW’. 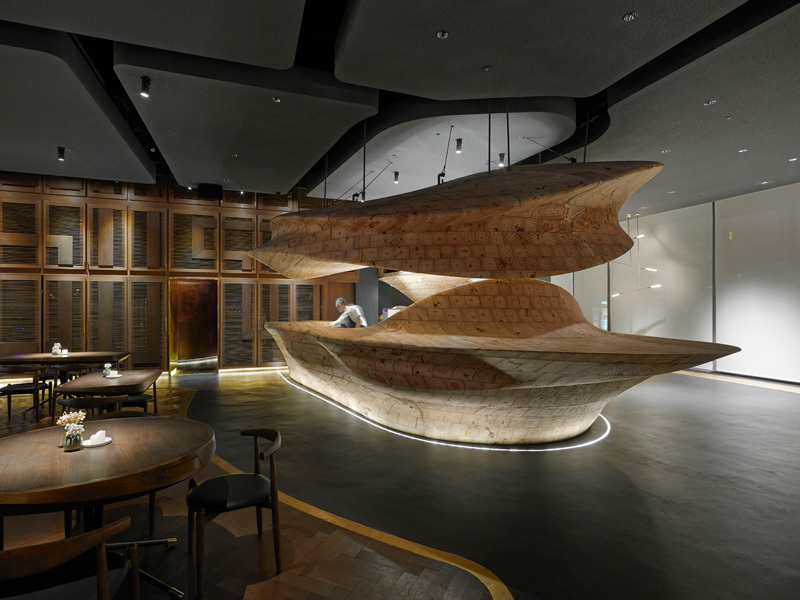 The restaurant design tells a parallel tale about how chef André’s food can be experienced. 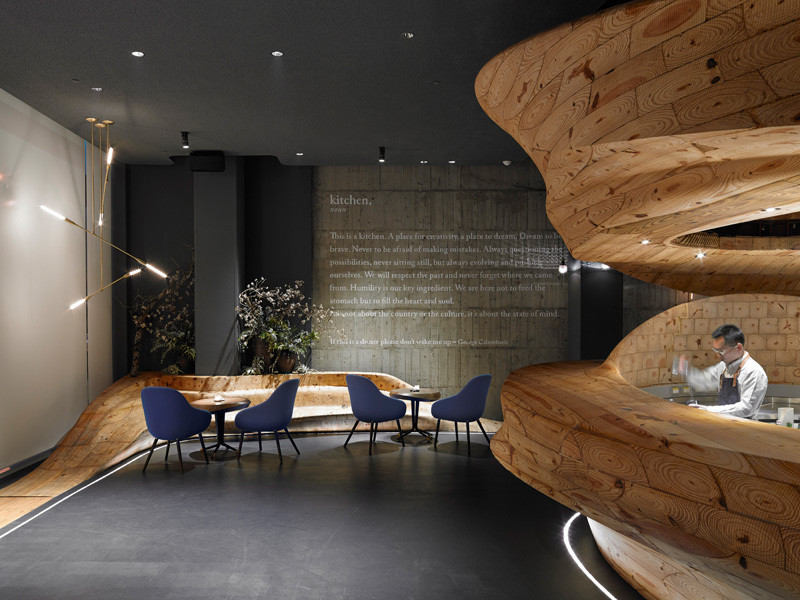 Diners step into the eatery across a wooden path entering a tranquil lounge area designed to lead customers on a journey and create a gentle transition from the bustling streets of Taipei. 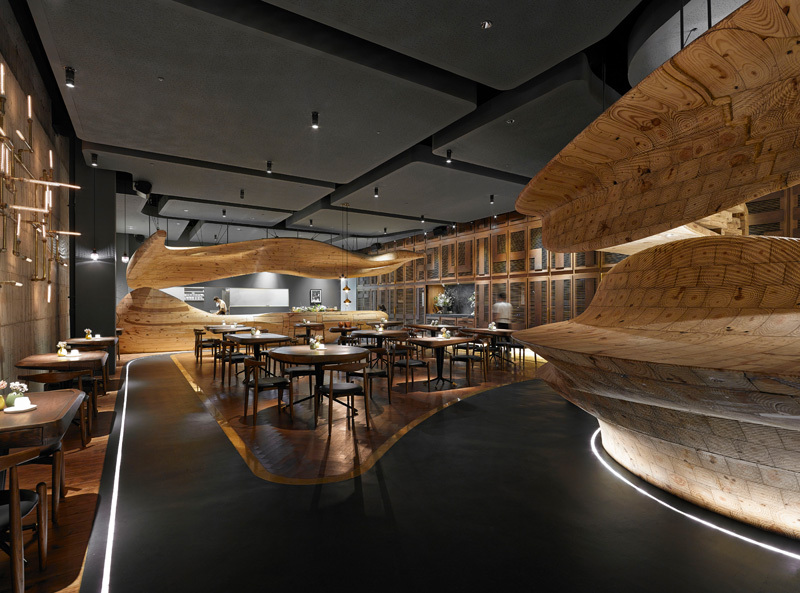 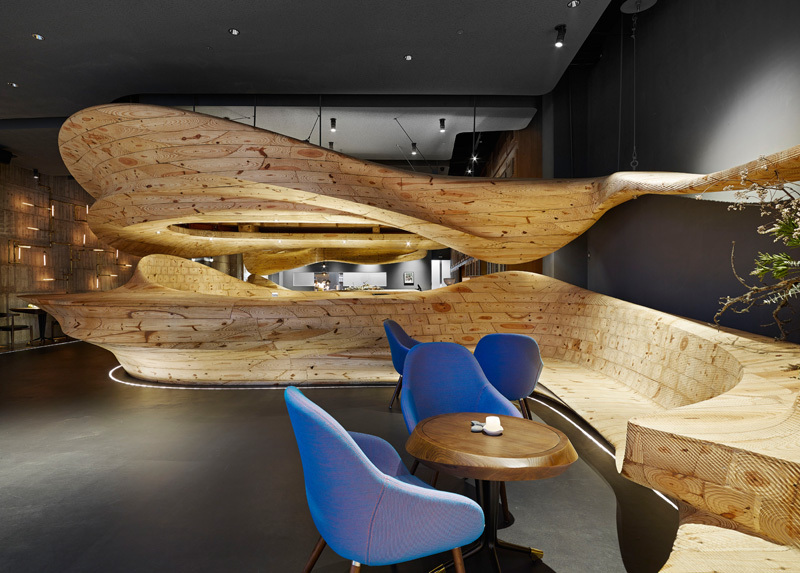 A soft angled, organically sculptured wooden structure greets guests, and as they move into the main restaurant space, this wooden structure merges to form the centre piece of RAW surrounding the centralized dining area.